Please select an option Modern sphere blue Modern sphere grey Modern sphere silver Modern sphere taupe Please select a coloroption. Please select an option Twin Twin xl Full Queen King California king Please select a sizeoption. 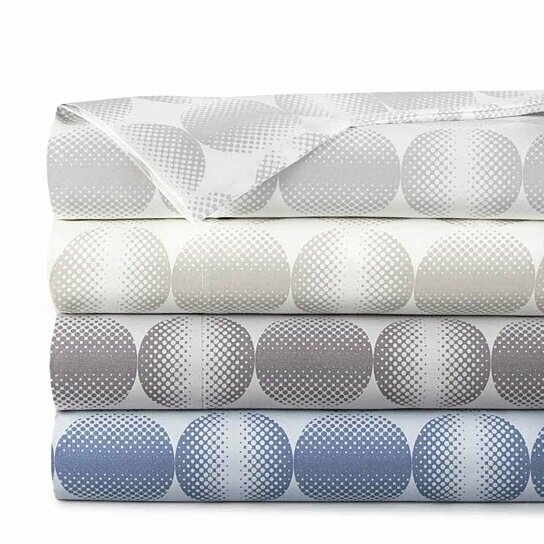 Satisfy your senses as you snuggle up in our Modern Spheres Sheet Set. The beautiful Modern Design combined with our soft double brushed fabric will bring your bedroom decor to perfect harmony. Complete the collection with the matching duvet cover available in the same Modern Sphere design.